Ever since I watched rurouni kenshin on TV more than 10 years ago, I’ve been wanted to own my own blade, a beautiful blade that i can depend on. But I was still in junior high school at that time so I wasn’t able to own a blade. 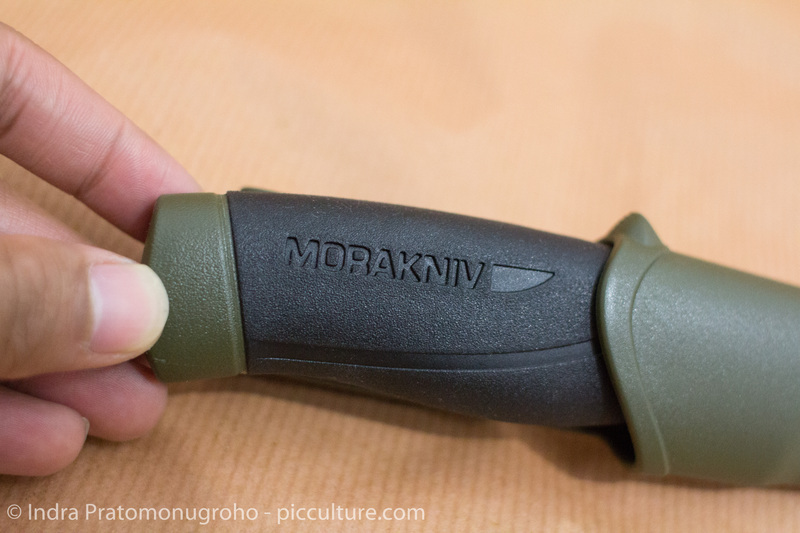 My last post before this was about my first blade, a folding knife, and this time, I will review Morakniv Companion Heavy duty MG, my second knife, a fixed blade from Morakniv, Sweden. it is a partial tang blade, means the tang is around 3/4 the length of its handle. 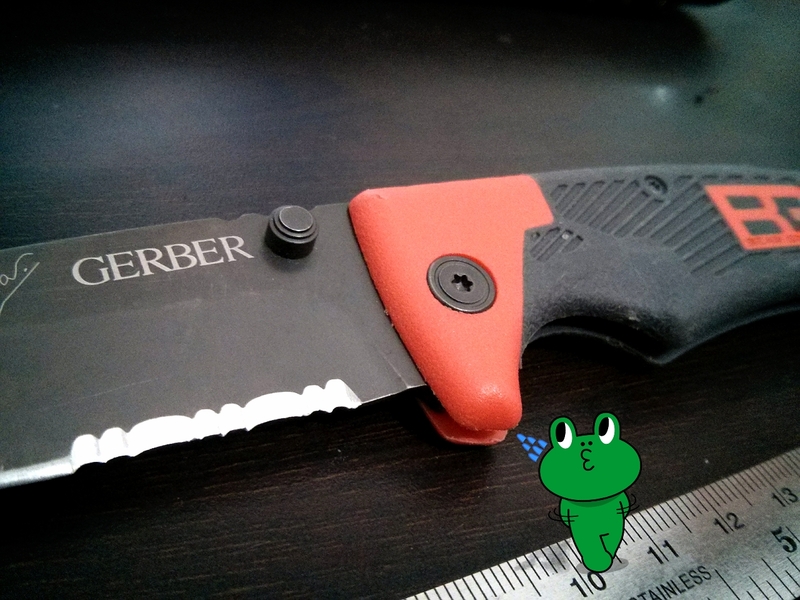 see that 3,2 mm blade thickness? love it! means it is easy to resharpen and provides good control in woodcarving. The handle is very rubbery and provides nice grip even for small asian hands. It is made in Sweden! 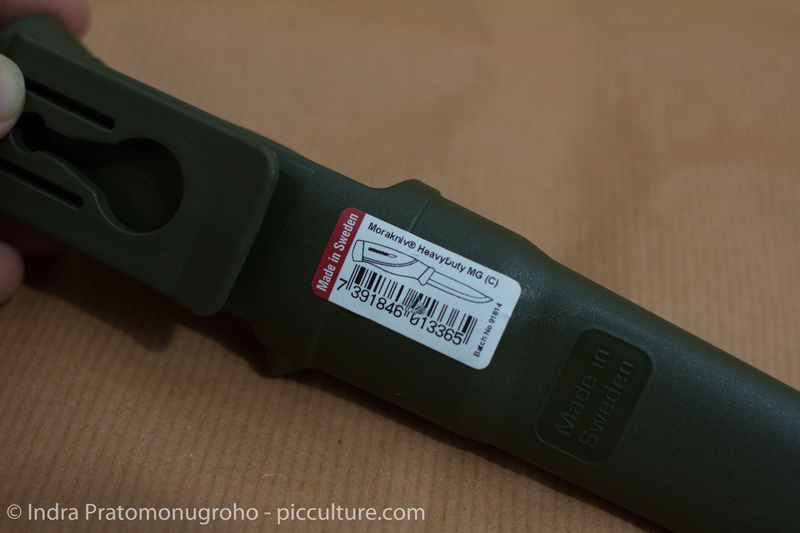 the sheath is in military green color, strong plastic with belt clip. It comes sharp out of the box, tried to cut a piece of paper and it cuts nicely without even bending the paper. 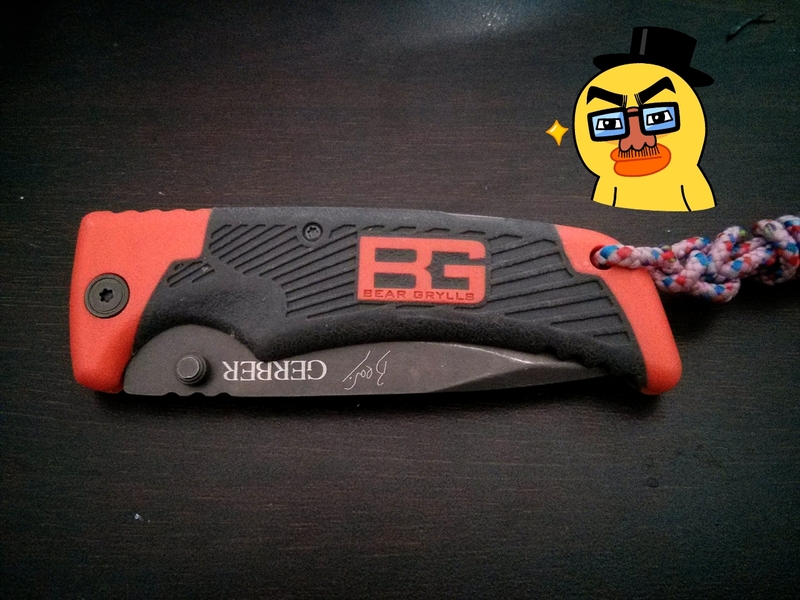 Overall, I am satisfied with the quality of this knife. You can use this to cut groceries, meat, wood carving, self defense, assassination, and many more. i love how mora made the blade mirror polished, just love that bling bling. lol. 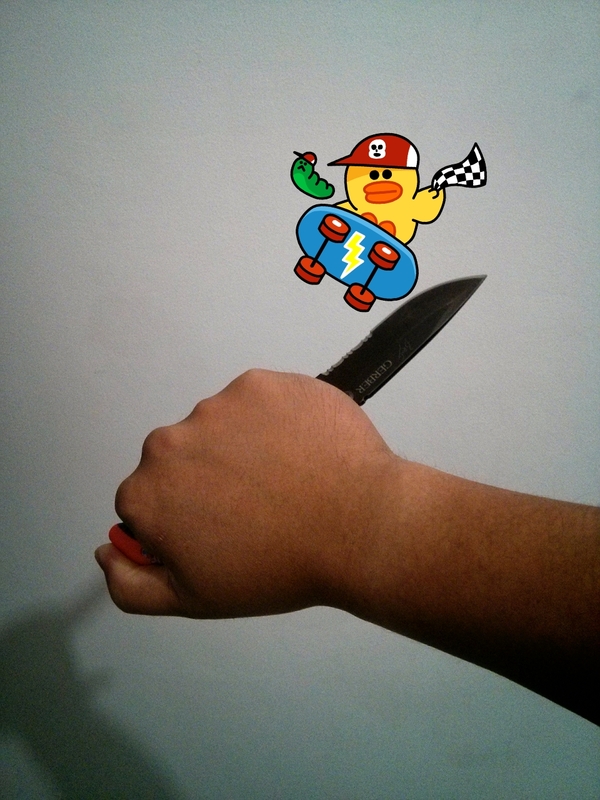 and remember, knife is a tool, it can be used as a weapon too, use it wisely. Hi there, It’s been a while, lately I’ve been very busy with works and study I didn’t have time and material to write blog, but then, I think I want to keep writing this blog. 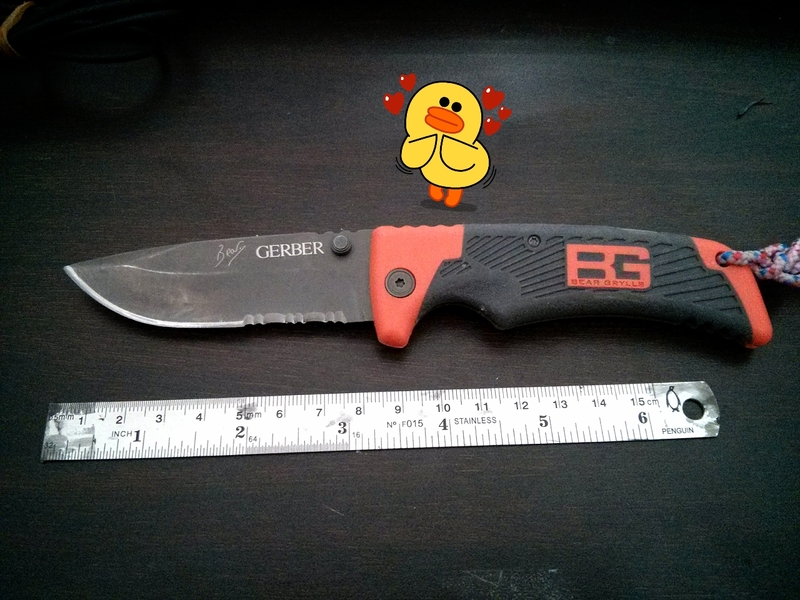 So, what i want to write today is a review of Bear Grylls survival scout knife from Gerber. 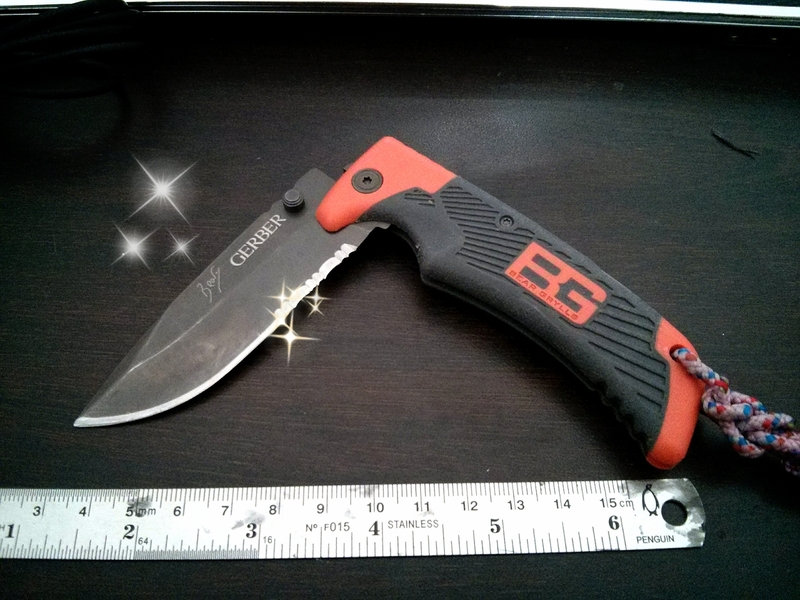 This knife have a good ergonomics and quite nice to handle. 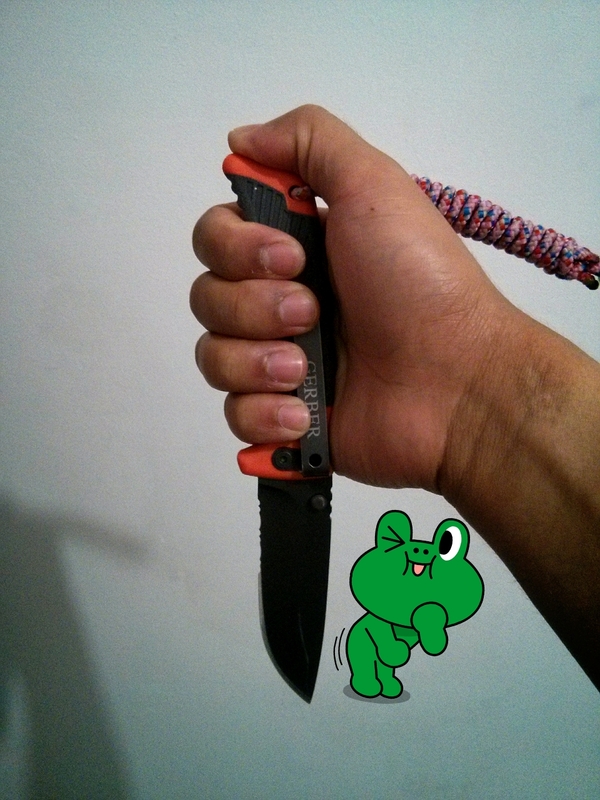 I tried some handling position and turns out the knife was very nice to handle. My thumb sit nicely at the bottom of the knife. lol. 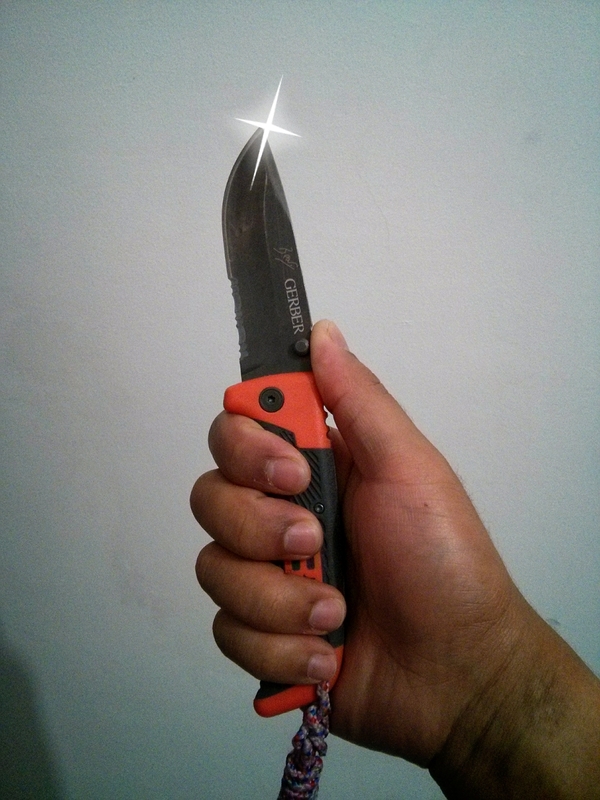 Okay, overall, this is a good budget folding knife for beginner. it still can stab stab and chop chop.